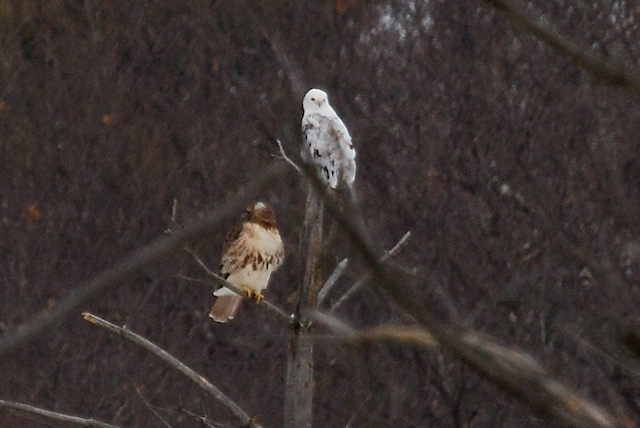 I visited the Leucistic Hawk site again today......might we have a pairing up! 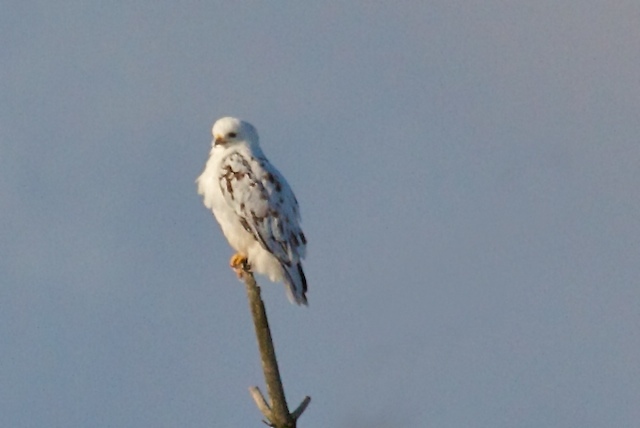 I received a fairly convincing report from a family in Lancaster of a 'white hawk' last week and spent a few days last week visiting the area before I was able to view/photograph this fantastic look bird. 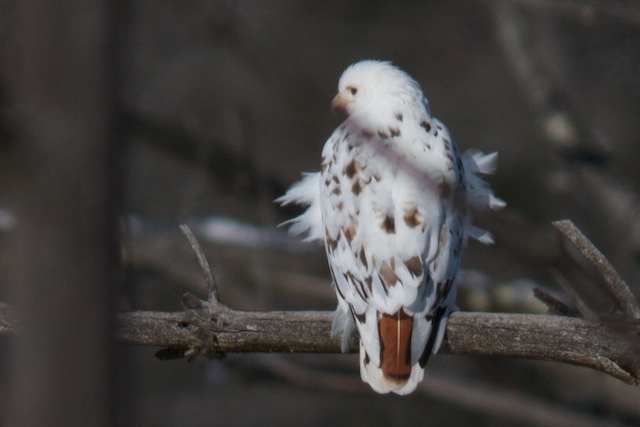 This hawk is known as an Leucistic Red-tailed Hawk. A true Albino would have not only all white feathers but pink bill, eyes and feet.